The SF Bay Area rental market is tough. In fact, it is the most expensive rental market in the country says the New Yorker recently. 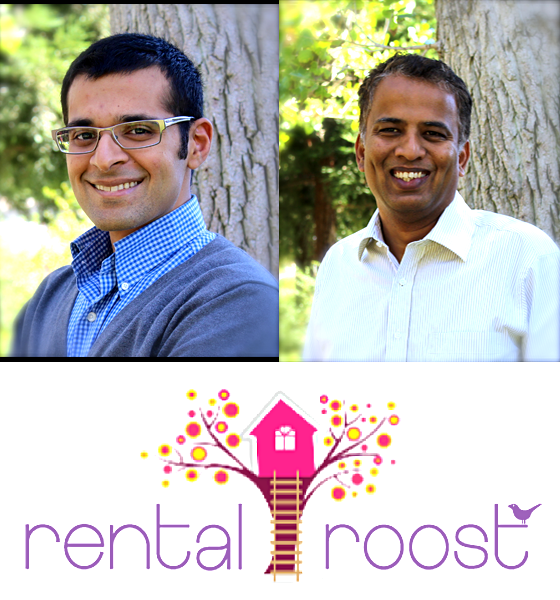 We talk with RentalRoost founders, Nitin Shingate and Vikram Raghavan. RentalRoost helps you find the perfect home using search criteria that you select. See how Nitin and Vikram's interesting story of how they came to create RentalRoost. "(Craigslist) How to you figure out what is realistic and what is not"
"we like to think of ourselves as "eHarmony" for rentals"
"if someone is coming from different cities and they want to find about San Francisco they don't know anything, so we are like a google because we give you information based on your lifestyle information"
Anyone trying to find a rental place here in SF is like playing "russian roulette." In fact, you need the drive of an startup entrepreneur to persevere. This seems the right idea at the right time. RentalRoost uses a propriety algorithm and social-search technology via Facebook, RentalRoost matches available rental spaces to the individual's lifestyle (along with the traditional criteria like price, amenities and number of bedrooms). Nitin and Vikram played the rental russian roulette game here so they have relavent experience. Check out their site and if you have questions, send Nitin and Vikram an email. They seem like very accessible.